Texas has one of the most diverse populations in the state. This unique blend of people, coupled with Texas’ varied geographical regions, has resulted in a number of festivals that are just as diverse as the people who call Texas home. Here is a sample of some of the Lone Star State’s best annual events. Held in Brownsville at the southern tip of Texas, Charro Days claims to be the oldest fiesta in Texas. Staged each February since 1938, Charro Days is a weeklong, traditional Mexican “pachanga,” with parades, dances and a variety of fun events for the entire family. In the Czech settlement of Flatonia, Czhilispiel has been held annually for over 30 years, drawing some of the best chili and bbq cook-off teams from across the state. It’s designation as a CASI endorsed event ensures top competitors will be there, it’s Czech Fest atmosphere ensures the whole family will have fun. After to barbecue and bulls, Texas is best known for mosquitoes. So, why not celebrate them? That is exactly what they do in Clute during the Great Texas Mosquito Festival. This annual event features a barbecue/fajita cook-off, paintball tournament, karaoke, a Mosquito Chase “Run,” and more. Paying homage to a pest has never been so much fun! Believe it or not, this is not the only Rattlesnake Roundup in Texas. However, it is the “World's Largest Rattlesnake Roundup,” and has been held continuously since 1958. While the snakes are the main attraction, the Sweetwater Rattlesnake Roundup entails a number of events beyond the actual snake hunt. There is the Rattlesnake Parade, Miss Snake Charmer Pageant, Rattlesnake Dance, guided bus tours, guided rattlesnake hunts, a barbecue cookoff and more. Everything is big in Texas, and the State Fair of Texas is no exception. 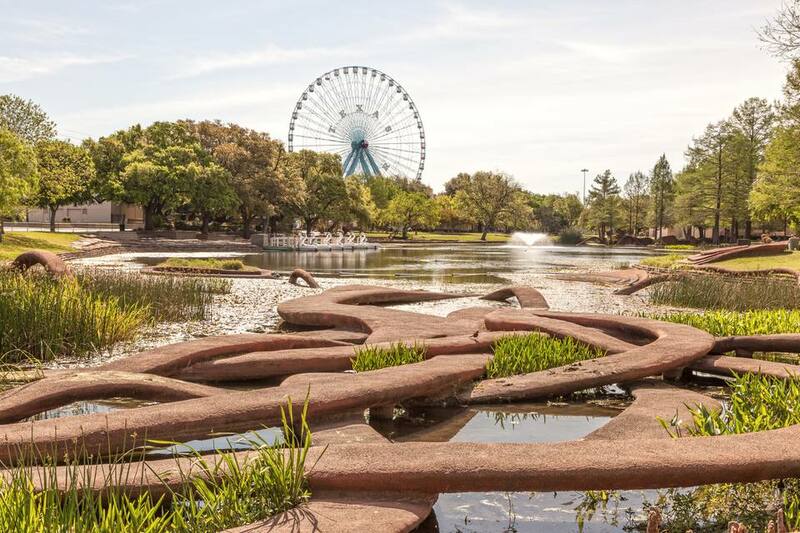 This three-week fun fest is based in Dallas and showcases an impressive carnival, art competition, auto show, livestock show, and, of course, the annual “Red River Shoot-out” between the University of Texas and University of Oklahoma football teams. The annual Strawberry Festival draws over 100,000 visitors to the tiny town of Poteet. This event, which has been held for nearly 60 years, attracts nationally-known country music stars and Tejano entertainers in addition to the carnival, art show, rodeo, dances, parade and “Taste of Texas” food show. A six-week trip back to the 16th century, the Texas Renaissance Festival features over 200 daily performances, 300 arts and crafts shops, 60 food and beverage shops, nightly fireworks and more than 3,000 costumed characters strolling the grounds. Your head will spin as you enter a world of castles, knights and magicians spread over the 15-acre park, which is located between Magnolia and Plantersville (approximately 50 miles northwest of Houston). A 10-day celebration of sausage, Wurstfest also serves to celebrate the German heritage of host city New Braunfels. In addition to plenty of food, Wurstfest offers up top-notch music (including plenty of Polka! ), rides, games, melodramas, yodelers and more.